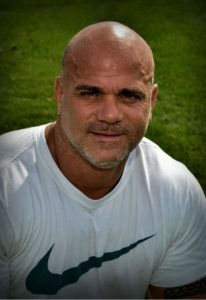 Matt Guiliano is a native Long Islander, graduating from Connetquot High School where he earned a scholarship to play baseball at Iona College. 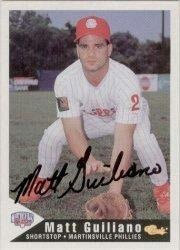 After a great college career, Matt went on to play in the major leagues within the Philadelphia Phillies organization as well as the Toronto Blue Jays, Milwaukee Brewers, and finally, with the Long Island Ducks; back home where he belongs. Matt comes to the League of YES through his affiliation with Hank’s Yanks as a trainer for their future baseball stars. As owner of Matt Guiliano’s Play Like A Pro baseball training facility, Matt has graciously donated his time and facility to the League of YES’s Skills Team to help develop their abilities. Matt’s dedication to the Skills Team has allowed the League of YES to offer our players a greater baseball experience than many of their peers. Due to Matt’s generosity and dedication, the Skills team now trains nearly every month of the year as well as during their regular season. Matt has a passion for baseball and his work ethic and dedication to his training facility and his players clearly shows through every day. However, it’s when Matt is with the Skills Team players where his passion and personality really shine. Out on the field or in the training facility, Matt is a great teacher in the art of baseball but more importantly, he is reaching our players in more ways than just playing a fun game. Matt is teaching our players baseball skills and everything that comes with it; agility, hand/eye coordination, team spirit, and determination. In reality, .0001% of all baseball players will ever be like Derek Jeter. Matt makes 100% of our players know they are great. In return, our players are teaching all of us that baseball is really all about fun.